The moment you brand a product for feminine hygiene you get many takers and if it is for a virtually untapped market like toilet seat sanitiser, then you do stand a good chance to win the urban market to begin with. 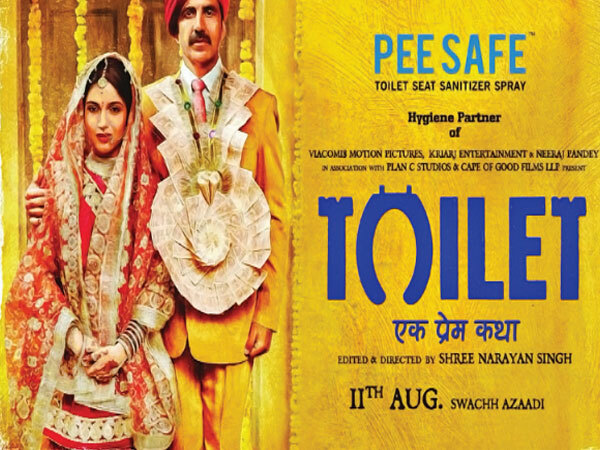 A relatively new brand in toilet seat sanitiser spray from Redcliffe Hygiene – PeeSafe – is fast becoming a must-have for urban Indian women. With the tagline – #BeSafewithPeeSafe – the brand has claimed to have sold 500,000 units since its inception in 2013. While the market does exist with disposable toilet seat covers and brands like Holy Seat in Singapore, the market in India is waiting to be tapped with most public toilets considered ‘totally unhealthy’. An innovation by Vikas Bagaria and wife Srijana, PeeSafe was launched in 2013, when they faced major hygiene issues while traveling around the country. Redcliffe Hygiene recently raised a pre-series funding worth $1 million in June 2017 from a group of investors including Mumbai-based Venture Catalysts, Alfa Capital, Amit Choudhary partner, Motilal Oswal Private Equity and Govindrajan ParthaSarathy (ex-CEO of Free Charge) among others. They see a Rs 3 crore monthly sales towards end of fiscal 2017-18 (Rs 36 crore ARR) and Rs 100 crore ARR by end of 2018-19. “The demand is very robust and driven by wider product acceptance and marketing activities targeted at local level, sometime local area level,” says founder and director of PeeSafe Vikas Bagaria. The brand has entered West Asia market with recent partnership with 360 Nautica in Doha, for a contract of $4 million annual supply of its toilet seat sanitiser spray brand, PeeSafe, in the GCC (Gulf Cooperation Council) countries for a period of over five years and is planning to expand globally to reach 17 countries by the end of 2017. As the Bagarias claim, PeeSafe is disruptive and a phenomenon in female hygiene category. The UTI problem among women is very severe, at least 10 million suffered from this last year. In India there are atleast 50 million women with incremental disposal income and a potential to spend Rs 300 quarterly on personal hygiene. “Our product is marketed through various online and offline marketing channels like, radio, OOH advertising in local buses, Uber and metro train branding, airline on seat branding, store posters, store sign boards, three-wheelers, Bollywood movie collaboration like hygiene partners in the movies like Toilet Ek Prem Katha or Bareily Ki Barfi, toilets branding in malls, localised content on digital platforms like Facebook, Instagram, YouTube, Twitter, specialised content through influencers marketing,” claims Bagaria. PeeSafe is currently sold online by most etailers like SafetyKart, FlipKart, Amazon and retail drug stores like Le Marche, 98.4 Pharmacy, Needs supermart and over 2000 retail points across 10 major cities in India. With deep footprints in toilet hygiene market across India, West Asia and Africa, the company has recently entered into several other sub-personal hygiene markets in India through GymSafe, PalmSafe, and MoskitoSafe to further the vision of becoming a Rs 500 crore company by end of 2020. “We are targeting to achieve Rs100 cr evaluation for the brand RedCliffe Hygiene by the end of of 2018-19,” Bagaria says. “We are also planning TV commercials next summer and doing all these marketing across all metro cities. We are using newspaper, magazines, youtube shows to educate masses on the cause of UTI and the product propositions,” he explains. The brand claims good amount of repeat purchase almost 4-5 time validating the product will stay as essential part of day to day hygiene both outdoor toilets but also at home. “Our end users are not only females but also households, commercial places and airlines. Recently, our home category launch of 300 ml bottle was well accepted at all distribution channels, modern trade retails , standalone modern stores and pharmacy chains confirming the price points and margins are feasible at large scale,” he adds. Distribution channels are often seen to be extremely cautious on new product launches, as too many new products are mushrooming the market but failing to continue for more than a year. The lack of marketing - both at above the line and below the line advertising levels need to be well aligned for building a brand across distribution landscape . PeeSafe has got a new competition too – Elavo. The toilet seat sanitiser has been recently developed by Mumbai-based Asian Aerosol, makers of several health, personal and household care products like Baygon, Mortein and Odonil for HUL, Godrej, JK Helene Curties, Reckitt Benckiser, amongst others. But that does not affect PeeSafe. The Bagarias are pretty confident of their branding. “Our marketing spend is very targeted, well planned and cost efficient,” he claims. According to estimates from market research company Euromonitor, the Indian tissue paper and hygiene product market will grow significantly until 2020. During this time, the market size will increase from existing $870 million to $1.5 billion. Euromonitor points out that the strong demand mainly comes from the increasing income and a yearning for a better lifestyle.